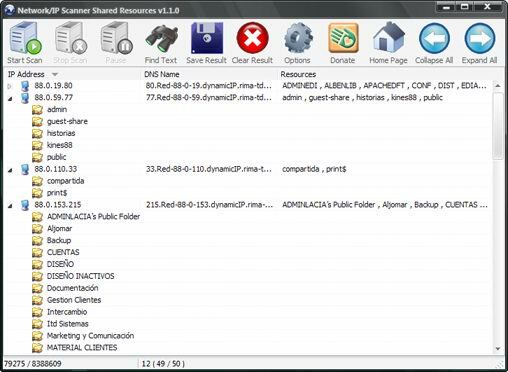 Network / IP Scanner Shared Resources is an application that helps you find open SMB shared resources on the Internet. The program checks the computers only with open NBT ports, that allows you quickly scan large IP-ranges. It's really fast network / IP scanner for shared resources. Copyright © 2017 S.K. Software.